Unwind on a blissful beach that’s a little less crowded than other parts of Bali. Shop in a fashion boutique, eat delicious food, and party in a stylish nightclub. 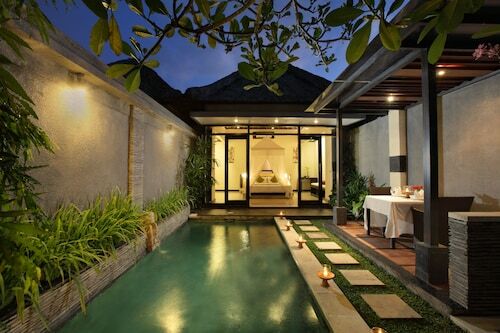 Busier at night than during the day, Seminyak is the perfect place to refresh and relax after a wild night out. 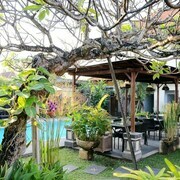 Book your Seminyak hotel with us for an exciting stay in Seminyak. Seminyak Beach is quieter than its neighbours. But be warned, the current can be strong! Of course, you don’t have to go in the water. 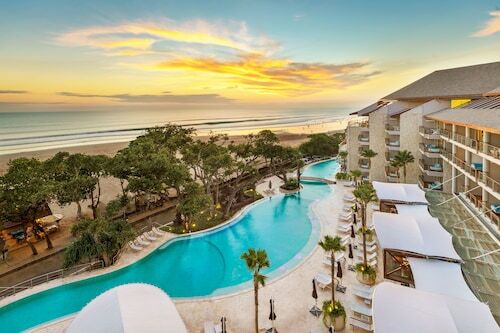 You can sunbake, take a horseback ride, or just lounge by the pool with a cocktail and admire the blue sea and waves. At the entrance to the beach is Petitenget Temple, a centuries-old Hindu temple where you can still catch religious ceremonies. Don’t mind a short drive (or a long bushwalk?). Canggu is a village with heaps of rice fields and Echo Beach, a safe swimming beach with amazing reef breaks for skilled surfers. You can also admire the waves from one of the seafood restaurants and watch the sun go down, cocktail in hand. Or you can take the lovely walk from Cafe Canggu across to Deus or take the trail by bike from Desa Seni to Kelecung in Umalas, all within easy reach of Canggu. Drop into Biasa Artspace or Kendra Gallery to admire unique modern art from creative Indonesians. 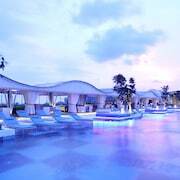 When the sun goes down, check out some of Seminyak’s clubs. You can choose from famous DJs getting the crowd pumping in front of the Indian Ocean, to cocktails and jazz tunes in stylish surroundings, to parties by the pool. Seminyak has surf shops, boutiques featuring Balinese designers, and modern art for sale. Seminyak Square is a handy one-stop spot, an arcade with heaps of shops and restaurants. You can find plenty of restaurants in Seminyak which has a rich seafood scene, especially around areas like the Jalan Laksmana route. You can also find small warungs (modest shops) selling cold beer you can enjoy right on the beach. There’s beachfront multi-course fine dining, al fresco seafood, and international cuisine from Spanish to Asian. Seminyak is just a 13-minute drive away from Ngurah Rai Airport, so book your flight to Bali with us and while you here, check out our Indonesia accommodation too. Once you’ve seen Seminyak, you’ll be eager to discover the rest of Indonesia too! 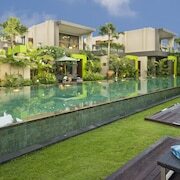 Need insider tips on must-see attractions in Seminyak? 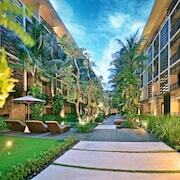 Check out our Seminyak travel guide! 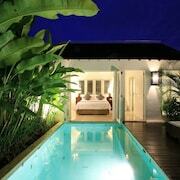 How Much is a Hotel Room in Seminyak? 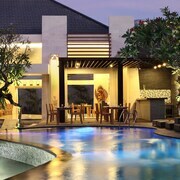 Hotels in Seminyak start at AU$28 per night. Prices and availability subject to change. Additional terms may apply. 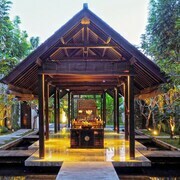 The pool villas and bungalows and their mature gardens have a calming and relaxing feel - the charm of Bali. I did not want a modern hotel feel. Clean and tidy, great pool and locations, staff really friendly and genuine, food had a great variety available. Plantation grill was excellent.